ATLANTIC OCEAN (WAVY) -- Shy Riggins is no stranger to military life. "My father actually was in the Navy. He always told me stories about his traveling." So when the now Third Class Petty Officer joined the Navy himself, Veterans Day took on a new meaning. "It feels great that people acknowledge we do this for them." He chose to be a become a barber, a role he enjoys. 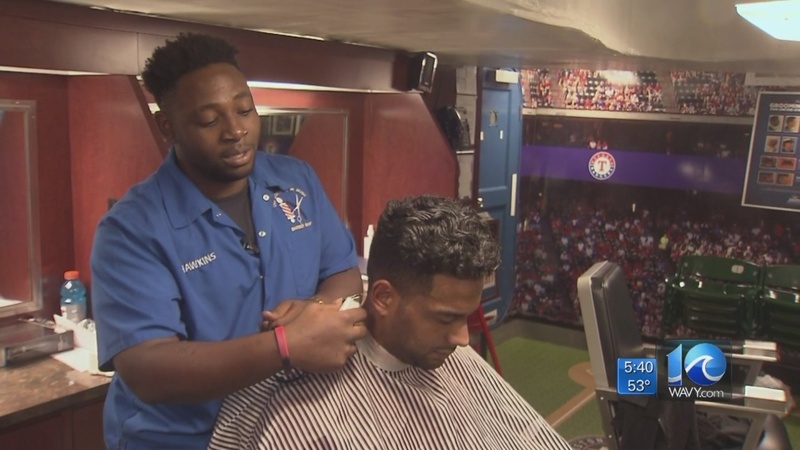 He says the best part of his job is meeting different people, something that comes easy given the location of his barbershop aboard the George H.W. Bush, a Nimitz class aircraft carrier.